In under a month, two African dictators have been brought down by mass protests. Algeria’s Abdelaziz Bouteflika, 82, and Sudan’s Omar Al-Bashir, 75, resigned after massive protests. Bouteflika had ruled Algeria for 30 years and was seeking re-election amidst declining health, while Al-Bashir had been at the helm of Sudan since 1989. These events have focused attention on long-serving dictators in Africa and how this wave might affect their political futures. Amongst them is Cameroon’s Paul Biya. 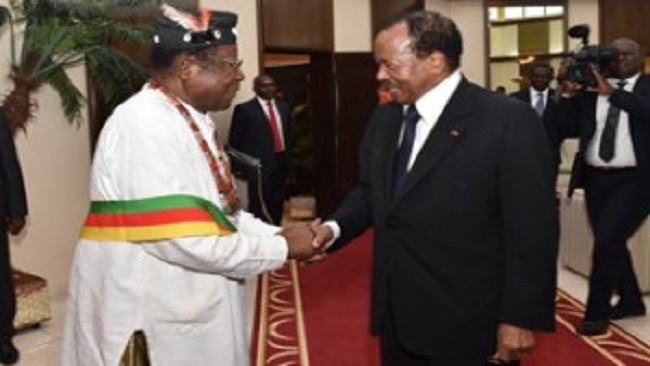 At 85, he has ruled Cameroon for 36 years and was recently declared winner in a hotly contested election that saw now detained opposition leader Maurice Kamto, declaring himself winner. There are striking similarities amongst the African dictatorships that have recently been toppled such as Gambia, Zimbabwe, Algeria and Sudan. These governments are characterized by huge deficits including dictatorship, long rule, abuse of institutions, poverty, corruption, and youth unemployment. These indicators are very present in Cameroon under the Biya regime and have implanted acute feelings of dissatisfaction, frustration and inertia triggering pockets of protest, resistance and rebellion across the country. Recent events in the country contain all the telltale signs of a regime in decline and a failing environment. For a long time Paul Biya has relied on the usual dictatorial tactics to maintain his stranglehold on the country; ethnic divisions, brutal military crackdown on dissenters, arrest and imprisonment of opposition leaders, keeping a close college of cronies, most of whom are from his region of origin and have remained blind loyalists. Those that have shown signs of wavering have been quickly thrown in prison. Loyalists make dictators. Because above all else, the sustaining element of dictatorships is the willingness of a cross-section of the oppressed to not just acquiesce but to actively seek the oppression of all others. 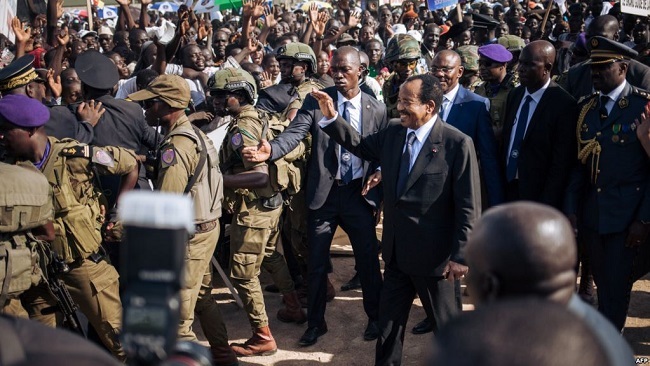 Biya has shrewdly eschewed a military coup, especially after the April 1984 attempt failed, by neutralizing the power of the military through the creation of several independent military and paramilitary bodies with him as the only centralized commander. In addition, the military, across its ranks is made up of members of his ethnic group. The uncertainty of where power resides makes it difficult to stage a coordinated takeover. Following the October 7, 2018 presidential election, supporters of the leading opposition party, Cameroon Renaissance Movement (CRM) staged peaceful demonstrations protesting election results and the government’s handling of the ongoing socio-political crisis plaguing the country’s two English speaking regions. The leader of the CRM and presidential candidate, Maurice Kamto was arrested and has been in detention alongside 131 supporters. 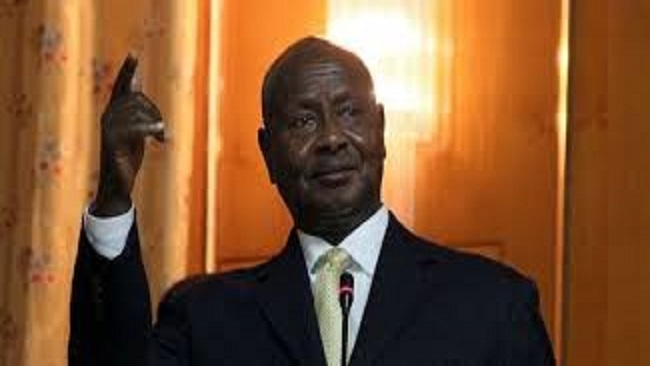 In the meantime, he has been charged with rebellion, inciting insurrection, offence against the president of the republic and treason amongst others. Charges which if found guilty, he and his supporters will be facing the death penalty. All forms of anti-regime demonstrations are immediately banned in the country ensuring and fostering a system in which there is no space for democratic expression. The government and its supporters have attempted to downplay demonstrations by CRM as a parochial group of people from the Western region of the country, lacking nationwide support, but who want to muzzle their way into power. 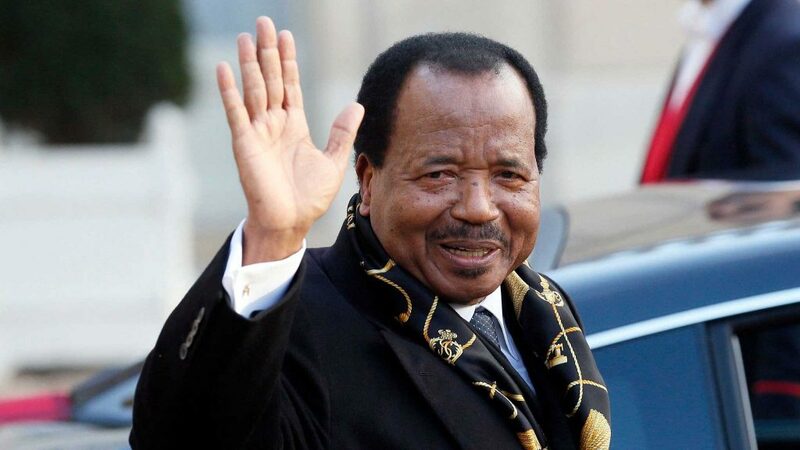 The fallout has been the increase in hate speech and tribalism, especially on social media with supporters of Biya and Kamto referring to each other as ‘sardinards’ and ‘tontinard’, respectively. These two derogatory appellations which have gained widespread use are interpreted to mean Biya supporters are a selfish bunch who vote based on receiving cans of sardines, while tontinards means Kamto’s supporters as miserly and cheap. This trend of ‘us’ against ‘them’ has bled through the country manifesting in the description of Anglophones as “Biafrans” and “Ambazonians”, and Northerners as “Sheep”. This is a country disintegrating on the crucible of hate speech and ethnicity. Perhaps one of the early signs of a crack in the government of Biya is the new trend of leaks of sensitive and classified documents. Because the government has a long history of withholding information from the public, the recent upsurge in leaks is indicative of fault lines within the government ranks. Just over a week ago, classified documents were leaked detailing the president’s planned sojourn to Switzerland and the accompanying security details. Hitherto, this would have been majorly unheard of, and its occurrence now signals a lot. No other happening right now spells more trouble for the Biya reign than the ongoing crisis in the English speaking regions of the country. The crisis is caused by Anglophone perceptions of over 57 years of marginalization by the two successive francophone-led governments. The Anglophone regions voted to join the French speaking side in 1961 in a federation. Anglophones have over the years complaint about the abrogation of the terms of the union including the dismantling of the federal system and the destruction and neglect of pristine Anglophone culture and institutions such as the English common law system and the Anglophone educational system and the underrepresentation of Anglophones in government. These grievances have bulged into calls for outright secession to create the putative state of Ambazonia. The government’s reaction to the Anglophone protest was characterized by military clampdown and what has been described as imposition of measures and solutions on the protesters. Essentially, the government has failed to productively handle the grievances leading to armed resistance. The crisis has dealt a severe blow on the country’s economy with thousands being internally displaced, with over half a million refugees in Nigeria, hundreds have been killed and education has been halted in many areas in the Anglophones regions by separatist militia. This crisis poses a serious existential threat to the country as a whole but more so to the longevity of the Biya reign. And this is largely due to its economic impact. Though Cameroon is not officially classified as a fragile state by the World Bank, it contains all the indicators including weak institutional coping capacity to withstand external shocks, pressures and risks; it is facing violent conflicts, high unemployment, corruption and embezzlement, poor health and educational infrastructure etc. Quite frankly, the economic threat posed by the Anglophone crisis is what might just tip the country over to open mayhem. It can be argued that the reason why there is still an uneasy stability in the country is because it has not been completely tethered economically. Cameroonians can still afford basic needs and daily food but the prices of basic commodities are on a steady rise especially with the stall of free-flow of economic activities and products from many parts of the English speaking regions. In 2008, the country witnessed a nationwide strike due to hikes in fuel prices. This is indicative, and the government should understand this by now, that it would be brought to its knees by economic pressures as prices of commodities continue to soar. The state-owned agro-industrial corporation, the Cameroon Development Corporation (CDC), is operating at below 10% of its capacity, losing billions as a result of attacks by separatists on their operations. CDC is one of the major employers in the country and the loss in production capacity has led to non-payment of salaries and arrears and general disgruntlement. It is only a matter of time before separatist block the flow of oil from the southwest region of the country as they have attempted and sometimes succeeded with other produce like timber. Blocking the flow of oil will paralyze the entire CEMAC zone which is dependent on the country’s oil refinery, SONARA. It is clear that the key strategy of separatists is to attack state institutions, stall their functioning, strain the government economically and then bring it to its knees. Clearly, the government still survives because the crisis in the Anglophone regions and the protests in other regions like those spearheaded by opposition leaders have not been able to coalesce into a nationwide protest. However, with the current trend of economic decline, it is only a matter of time before economic disgruntlement matures into popular uprising. The trigger at that time, like in Sudan, might be something which a notoriously complacent regime would consider insignificant, such as bread. 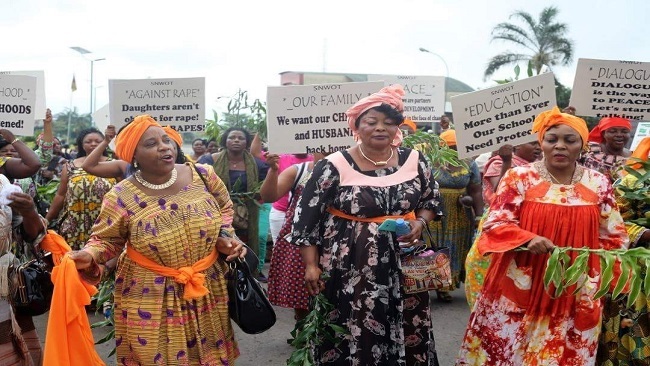 Stating that their human rights were violated, Justice Chikere ordered their return to Nigeria. He also decided the government should pay compensation of ₦5-million each to the 12 and ₦200 000 each to the 39 other deportees. 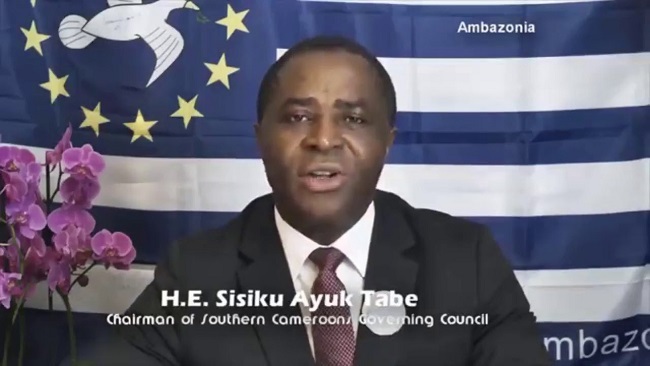 The 12 are leaders of the self-proclaimed independent territory of Ambazonia, an outlawed territory in Cameroon’s mostly Anglophone regions, where some English-speaking residents seek to restore what was formerly British Southern Cameroons. The ruling has given new impetus to the hotly contested issue. Legally, justice seems to have been served but politically, the implications are unclear. There is a need to closely examine the legality of the court’s ruling, to ascertain what it means in practice. Can the court compel the Nigerian government to enforce the ruling? 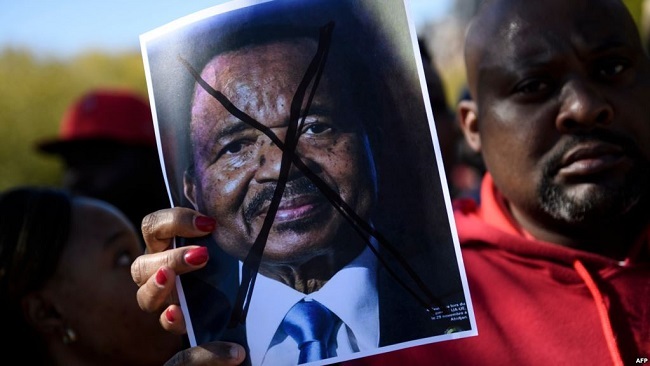 Will the Cameroon government heed the court’s decision by releasing the leaders? As it stands, there is no extradition treaty between the two countries. This is contrary to Cameroon’s communication minister Issa Tchiroma’s argument that the arrest and transfer of the 12 from Nigeria to Cameroon conformed with the law. He cited three security accords signed by Cameroon and Nigeria in 1963 and 1972 which, although not extradition treaties, define rules of cooperation in matters of security between the two countries. The separatists will no doubt expect some reaction from the government of Cameroon to the court’s ruling. If the Paul Biya administration were to ignore an overture from the Nigerian government to return the deportees, and find the deportees guilty of terrorism – which could include the death penalty – this could escalate tensions. It would mark a turning point for the conflict and a missed opportunity for restoring peace in the country. Although capital punishment is a far-fetched outcome, a guilty verdict is not an unlikely scenario. This is a country where state authority remains heavily centralised in the executive branch, and legislative decision making is often opaque and without consultation. This is evident in the government’s unilaterally designed conflict mitigation strategies, such as the creation of a Bilingualism Committee in response to the perceived linguistic marginalisation of the English-speaking regions. These government initiatives don’t reflect a real analysis of the root causes of the current crisis. Linguistic marginalisation is a simplistic explanation that belies the decades-long exploitation of citizens by the ruling elite, who depend solely on patronage. Even more troubling have been government actions to vilify Anglophone communities in the wake of the crisis, and the failure to hold security services accountable for attacks on civilians. Cameroon’s government could instead use the Nigerian court’s ruling as an opportunity to start a process of national reconciliation. Having suffered setbacks in its legitimacy, government could restore trust and social cohesion with citizens by prioritising peace building rather than state-building. It could capitalise on the faction of Anglophone ‘federalists’ who hope for a return to the former federal system of government without the structural exploitation and under-development of the two Anglophone regions by the Francophone political centre of power. This has been at the heart of the ‘Anglophone problem’. His address was carried by the El-Bilad TV network as he addressed top military officers. Political watchers hold that it could be the main reason that Bouteflika could be forced to resign. The North African country has for months now been roiled by anti-government protests demanding the immediate resignation of Bouteflika at a time he was preparing to contest in April polls. A senior leader of Algeria’s ruling FLN Party says President Abdelaziz Bouteflika is “history now,” in another sign that the party is potentially embracing the cause of the recent widespread protests against the long-time president. 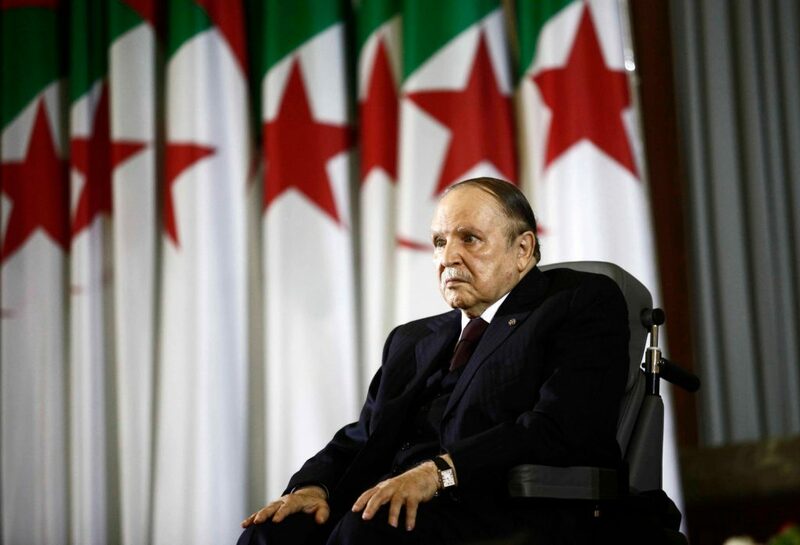 Bouteflika on Monday abandoned a decision to seek a fifth term amid weeks of mass rallies, but he canceled the upcoming election without setting a new date, prompting accusations that he was plotting new “tricks” and sparking a new round of protests. On the eve of the first Friday protests since Bouteflika’s announcement, Hocine Kheldoun, a former spokesman for the FLN, said in an interview with Ennahar television that the party had to look ahead and take sides with the anti-Bouteflika protesters. Kheldoun’s remarks late on Thursday were another major setback for Bouteflika as several other senior FLN officials had already broken ranks with him publicly. On Friday, thousands of protesters gathered in the center of the capital, Algiers, demanding Bouteflika to step down. Some of the demonstrators shouted “FLN, go!” during the protest, signifying that they are not just dissatisfied with the president but with the party long associated with him as well. “Those who think we are tired are wrong. Our protests will not stop,” said the 37-year-old protester Madjid Benzida, who was attending the protest. Anti-government protests first erupted in Algeria on February 22 over Bouteflika’s bid to extend his 20-year rule. The demonstrators demanded a new era with younger leaders who would offer greater social freedoms and prosperity. Algerians have barely seen their ailing 82-year-old president since he suffered a stroke in 2013, and demonstrators are also angry about corruption and secrecy in Algeria’s power structure. A former minister, who is familiar with Bouteflika’s inner circle, said the president could not survive the pressure building against him. “Game over! Bouteflika has no choice but to quit now,” the former minister anonymously told Reuters. Senegal’s prime minister has claimed that President Macky Sall was re-elected in a first round vote on Sunday, hours after the opposition suggested that no candidate had won an outright majority. Prime Minister Mahammed Boun Abdallah Dionne, a Sall ally, claimed at midnight that president had won 13 out of 14 regions with “at least 57 percent” of the vote. “The results allow us to say that we should congratulate President Macky Sall on his re-election,” he said. Opposition candidates Ousmane Sonko and Idrissa Seck had said that a second round of voting was possible based on preliminary results. “At the current state of the vote count, no candidate, I say no candidate, including myself, can claim to have won the presidential election,” Sonko said. Sall had been favored to win the election on the back of strong economic growth. The 57-year-old had pledged to introduce universal health care and expand education in the West African country.